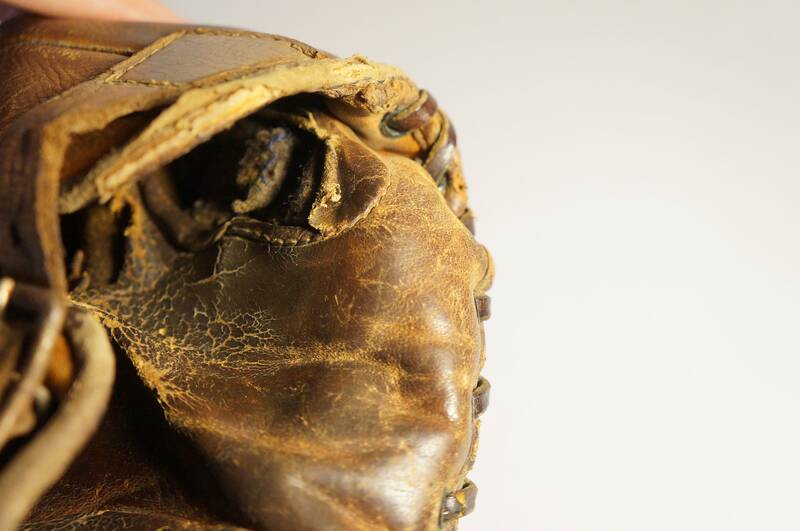 One of several antique ball gloves we've got in the shop, including a Roxie Lawson and a Wilson model, both in fantastic shape. 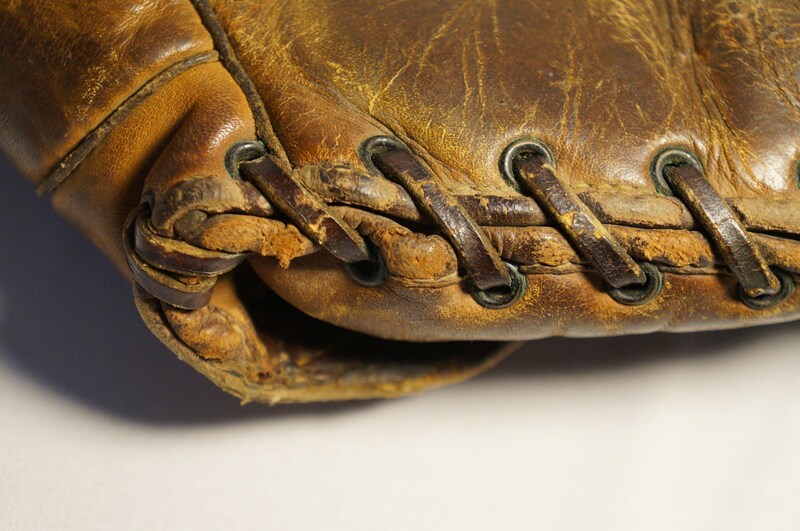 I love these old gloves -- we've been playing the exact same game for naught on 150 years, and look at the advancement in technology. 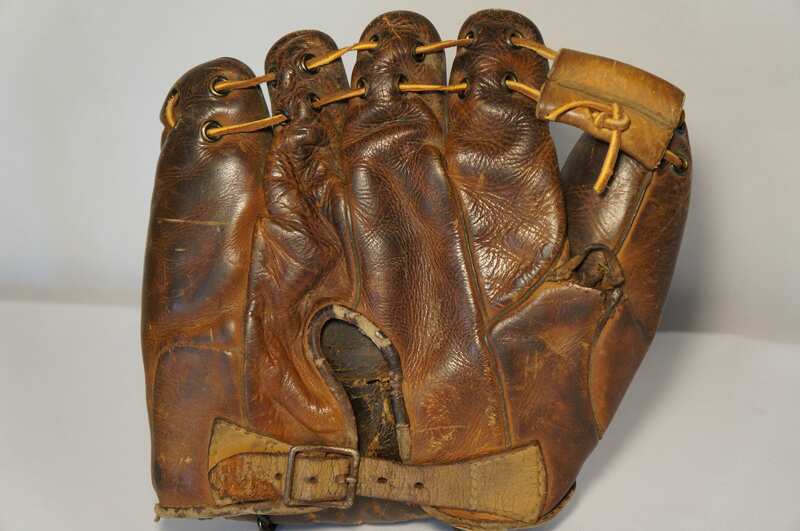 Can you seriously imagine a Big Leaguer today using one of these? 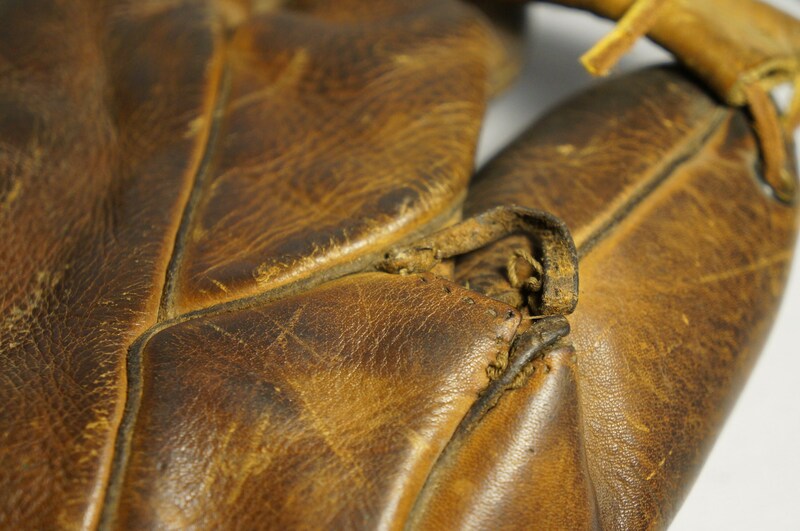 Yet a hundred years ago, records were being set by Hall of Famers using these same type of old gloves, some of which records stand to this day. 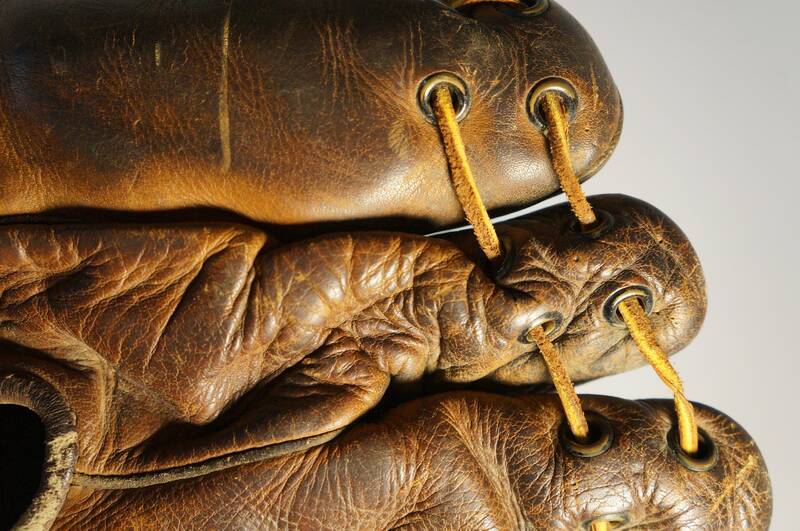 These gloves testify to the timeless glory of America's Greatest Sport. 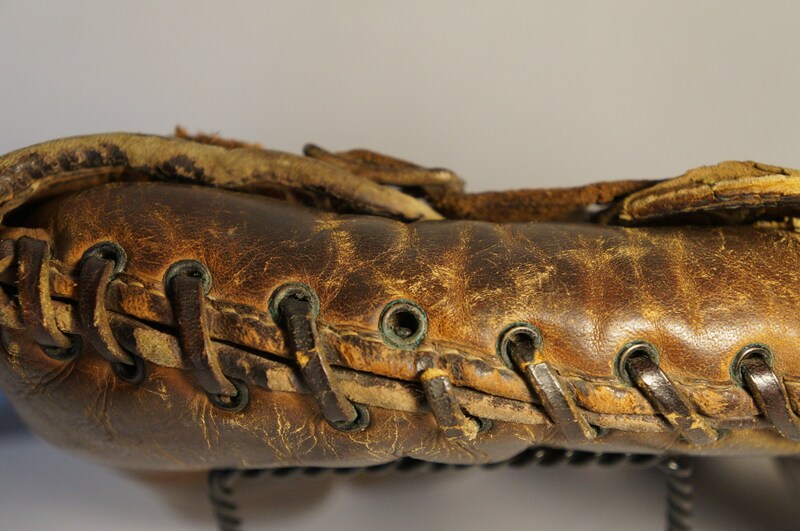 Like Babe Ruth's hitting mechanics which are still being usefully analyzed to this day, these "strange" old gloves give us as 21st Century fans a tangible connection with the game of yesterday, in its glorious early days about which Ken Burns waxes so, so poetically. 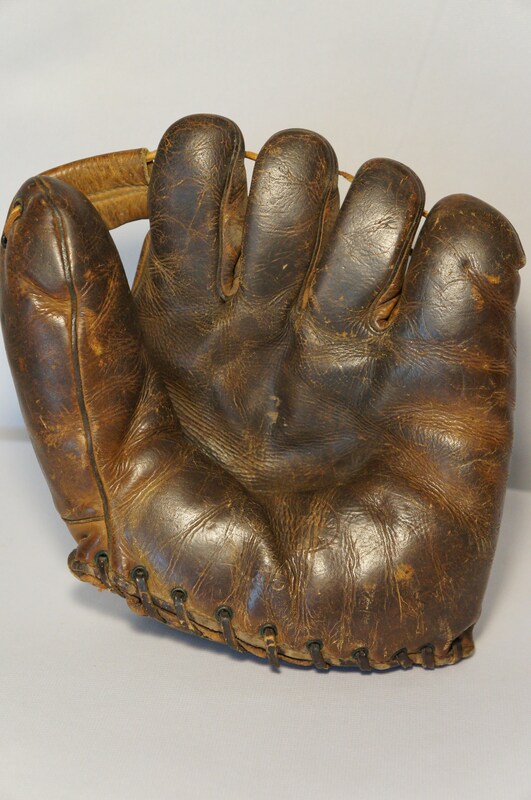 Putting on one of these and having a toss would be like having a catch with The Babe, Teddy Ballgame, Josh Gray, Stan the Man, or Honus Wagner. 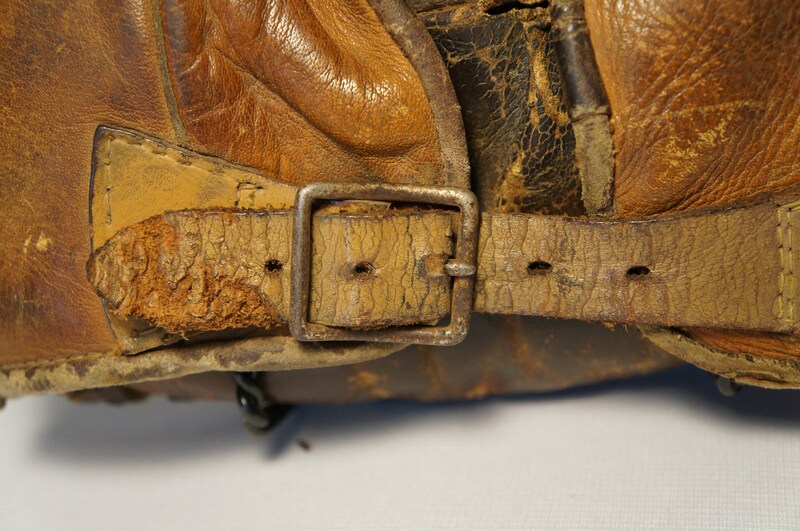 In a cornfield in Iowa. 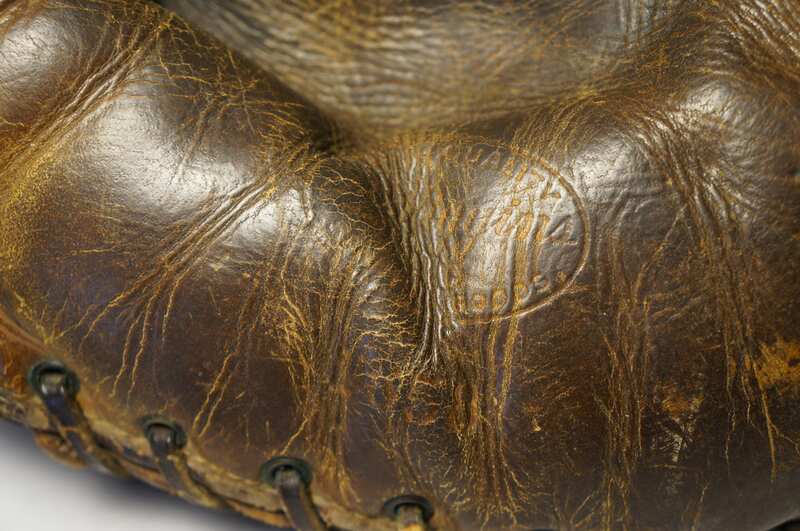 This is from the Sears, Roebuck & Co. J.C. Higgins Quality Sporting Goods line which ran from about 1905-1962. 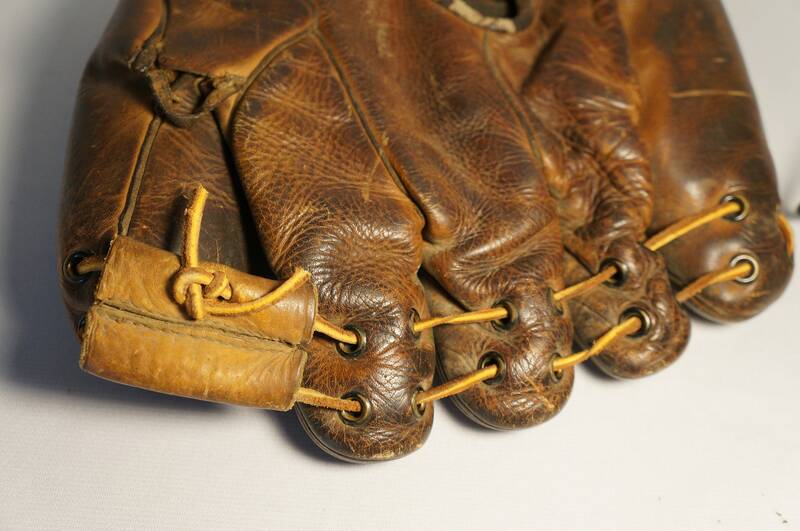 This is a 1930s glove.